Stop the presses. I am loving the colour pink at the moment. If you had told me a few years ago that I would be rocking a pair of pink loafer and a pink shirt I would have laughed in your face. But fast forward a few years and a new level of maturity and blush is fast becoming a favourite of mine. I picked up this pink men shirt from M&S and I have been living in it ever since. It's comfortable, stylish and makes that whole I picked up my bf shirt thing just work for me. I went for a collar 17 1/2 inch since I wanted it to be oversized. It so hard figuring our mens sizes but I think I finally have the hang of it. 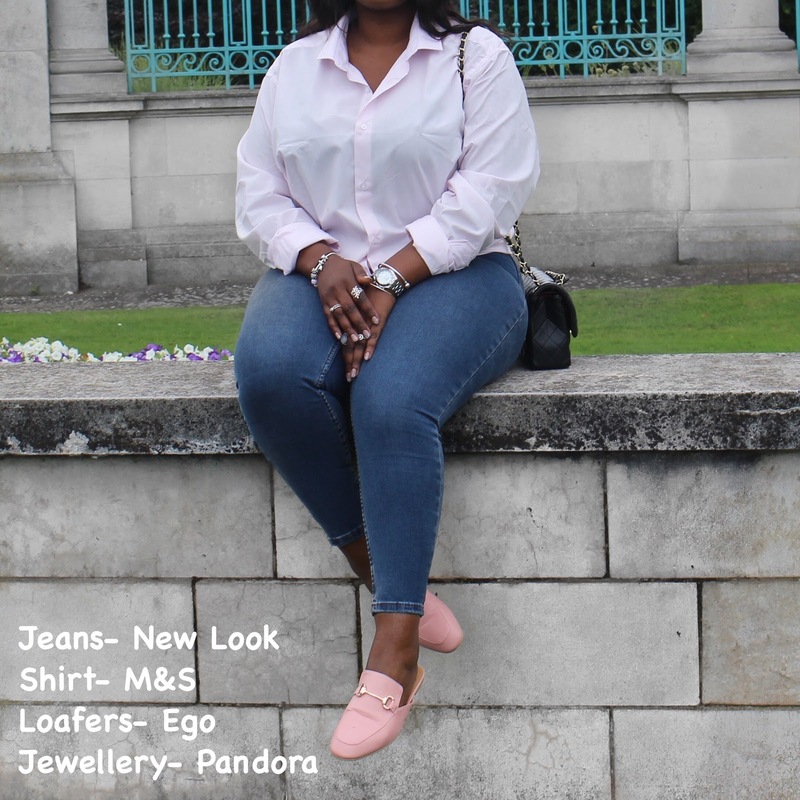 These jeans are from New look and are super comfortable , true to size and inexpensive compared to Topshop prices. I have these loafer in three different colours and I loved my first pair so much that I ordered a spare. If you follow me on my social media then you will have heard me go on and on about the blackones with roses . 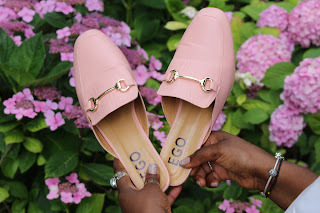 They are a very good dupe for the Gucci ones and are currently on sale for £12.49 if you want to get your hand on them. The oversized shirt and jeans has been my go to look so far this year. I am not very comfortable at the weight I am at and this allows me to feel free but comfortable so that a very big positive for me. Do any of you guys ever wonder to the mens sections of a shop or it is just me who sometimes find mens wear so much more comfortable?